Obesity in children and teens is a serious health problem. About 1 in 6 children in the United States are obese. 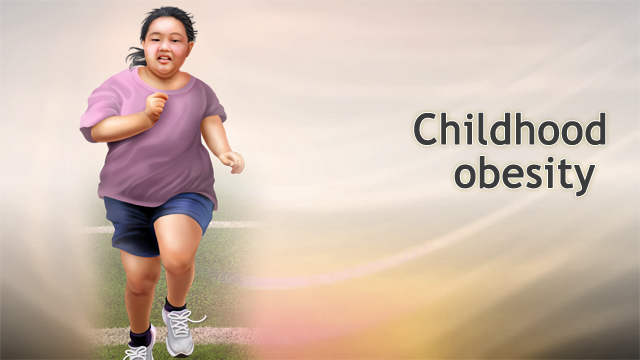 A child who is overweight or obese is more likely to be overweight or obese as an adult. The most common operation now offered to teens is the vertical sleeve gastrectomy. Adjustable gastric banding is another type of weight-loss surgery. However, this procedure has largely been replaced by sleeve gastrectomy. All weight loss operations can be performed through 5 to 6 small cuts on the belly. This is known as laparoscopic surgery. Most children who have weight-loss surgery also have health problems that are related to the extra body weight. Other factors should also be considered before a child or teenager has weight-loss surgery. The child has not been able to lose weight while on a diet and exercise program for at least 6 months, while under the care of a physician. The teenager should be finished growing (most often 13-years-old or older for girls and 15-years-old or older for boys). Parents and the teen must understand and be willing to follow the many lifestyle changes that are necessary after surgery. The teen has not used any illegal substances (alcohol or drugs) during the 12 months before surgery. Children who have weight-loss surgery should receive care at an adolescent bariatric surgery center. There, a team of experts will give them the special care they need. The studies that have been done on bariatric surgery in teens show these operations are as safe for this age group as for adults. However, not as much research has been done to show if there are any long-term effects on growth for teens that undergo weight loss surgery. Teenagers' bodies are still changing and developing. They will need to be careful to get enough nutrients during the period of weight loss following surgery. Gastric bypass surgery changes the way some nutrients are absorbed. Teens that have this kind of weight-loss surgery will need to take certain vitamins and minerals for the rest of their life. In most cases, a sleeve gastrectomy does not cause changes in how nutrients are absorbed. However, teens may still need to take vitamins and minerals. Marcdante KJ, Kliegman RM. Obesity. In: Marcdante KJ, Kliegman RM, eds. Nelson Essentials of Pediatrics. 7th ed. Philadelphia, PA: Elsevier Saunders; 2015:chap 29. Mechanick JI, Youdim A, Jones DB, et al. Clinical practice guidelines for the perioperative nutritional, metabolic, and nonsurgical support of the bariatric surgery patient--2013 update: cosponsored by American Association of Clinical Endocrinologists, the Obesity Society, and American Society for Metabolic and Bariatric Surgery. Endocr Pract. 2013;19(2):337-372. PMID: 23529351 www.ncbi.nlm.nih.gov/pubmed/23529351.